For the past several weeks, I’ve been reading headlines that Turkish diplomats are confidently declaring that Obama will not use the word genocide on April 24th. Why do I continue to be amazed at Turkey’s power to dictate policy and terms of diplomacy to the US administration? Seeing how countries’ leaders can be bought, blackmailed and de-backboned is chilling. What will it take for our politicians to do the right thing? And, while I’m on the subject, where are the journalists who still know how to report the facts without relying on press releases supplied by lobbyists? April 24th is near. This month Armenians the world over are honoring the memories of family members who died (or hopefully survived) the genocide committed by the Ottoman Turkish government in the years surrounding 1915. 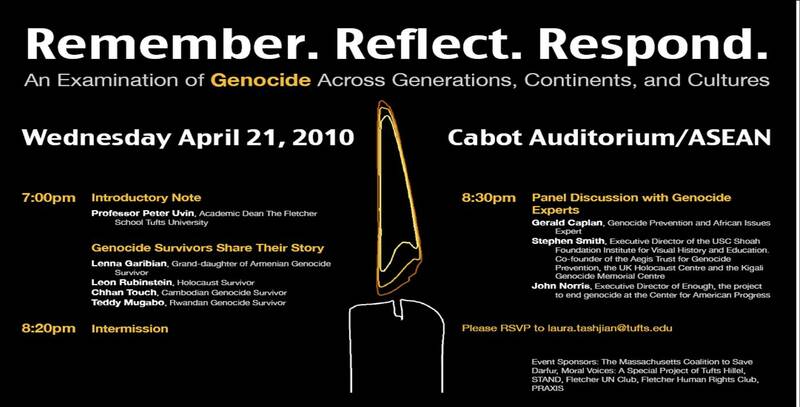 If you have Skype, call sheri.jordan and record your family’s Armenian Genocide history. Don’t miss this chance to become part of the Armenian Genocide Blog Oral History Project. Your family’s story may be featured on this blog.